How do we know that we’re on the ‘Right Track’ and a track that’s leading us to the right place in our life? Sometimes we follow the ‘track’ because it’s what our family or society expects of us and sometimes we follow the track because we just haven’t really created a clear vision of our destination and so we simply follow the first track we come across. Sometimes we’re continuing on a track that’s leading us in completely the wrong direction! Have you gone through periods in your life when you just feel there’s something more you should be doing or you feel out of sync and yet there are other times when you feel like you’re ‘on a roll’ – things feel ‘right’? I spent too long on the wrong track, heading in the wrong direction. I worked really hard, I was good at my job and yet inside, I felt like I was running faster and faster but never getting any closer to the destination – the place that would ‘feel right’. What did I do? – Ridiculously, I ran even faster along the wrong track. I worked even harder and even longer hours and looking back I now wonder if that was to bury my head in the sand rather than facing up to some difficult truths and making decisions that felt impossible to make. There are moments in our lives where fate steps in and the Universe takes over! Maybe it’s sick of waiting for us to make the decision we need to make. It sends us our messages and if we ignore the message, we’re likely to get another… and another …. and another.……. until eventually the message simply can’t be ignored! Finally, we’re ‘stopped in our tracks’!!! The barrier comes down and we can’t continue. It’s that moment where we finally have no alternative and we’re forced to take a long hard look at ourselves. We are placed at the crossroads and we have to stop pedalling. It’s that moment of truth! For me, my moment of truth was February 2016. I was feeling completely burned out and hearing the Doctor say “You’ve got Diabetes Type 2 and if you don’t start looking after yourself you’re going to have a stroke” was the moment I had to face up to myself and take a long hard look at how I was living my life. Yet, for me, it felt like the most impossible and stressful decision. I tied myself up in knots thinking of all the difficulties I’d experience if I wasn’t earning a decent salary and how that would impact on my family too. I also felt a sense of foolishness for running along the wrong track for SO long and for ignoring those repeated messages the Universe had sent me over and over again! Having taken that long hard look in the mirror, I knew there was absolutely no way I could continue along the track I was on because that was definitely leading me in the direction of an early grave. I was 56 and I wasn’t ready to jump off the ‘life track’ just yet! So – how did I know I’d done the right thing? As soon as I handed my letter of resignation over, I felt like a weight had been lifted from my shoulders and it’s never come back. I recognised that I had to slow down for a while and focus some attention on myself and I did. I began to look after myself for the first time in a long time. I began to remind myself of my core values and started to live my life in alignment with these – spending time with my family, eating healthily, being honest with myself. Every day we wake up presents us with a new opportunity to make a positive change in our life. We can all make changes in our lives, whether we’re young or old. Maybe you’re in a poor or destructive relationship or possibly you feel stuck in a job you don’t enjoy or you’ve started a University Course that you hate but you feel you ‘have to’ continue. The truth is we really don’t have to do things we don’t want to do or that just don’t feel right. We are never really ‘trapped’ in a situation and there are always new choices we can make. We often complicate life when really it’s very simple and once we shift our trajectory by just a single degree, we can truly change the course of our journey through life. It’s taken me a long time to recognise that other people or difficult circumstances don’t hold us back and keep us trapped, we trap ourselves with our own fears, worries and thoughts and the choices we make. Our imagined fears are usually far worse than the reality and there is always an alternative choice no matter how impossible the circumstances feel or how scary the change may be. The truth is that once we shift our mindset and close some doors, new doors appear and open for us. When we make a change in our life, we may upset a few people but more often than not, within a relatively short period of time, they come round. There are moments in our life when things feel impossible to change but in reality, anything can be changed when we change ourselves, our thoughts and we make a different choice. Life really can change in an instant. Don’t ignore the signs – if something ‘feels wrong’ it’s important to listen to your heart and recognise that it’s always possible to do something different. You’ll know if you’re living life out of alignment because you’ll feel that sense of ‘struggling through life’. Can you even remember what’s important to you? If not, then reminding yourself of your core values is a great starting point to making a shift in the direction of your life. 4 Ways to Develop your Personal Values List and help you to Lead A Life Worth Living! Let your heart guide you… It whispers, so listen closely! If you feel that you’re in an impossible situation or you feel trapped or unhappy with the direction you’re travelling through life, maybe it’s time to make some new plans to help shift your direction. 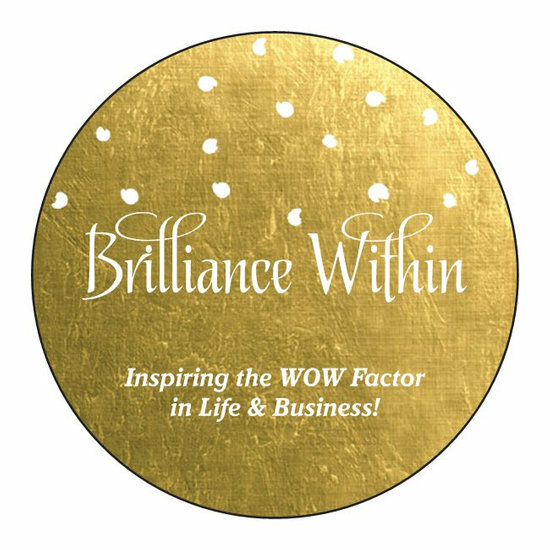 The Brilliance Within Life Audit can be a great way to start and you can get a copy to work through when you sign up to this blog. If you’re feeling stuck.. leave me a comment – It could be the first step you take in a new direction! Anything can be changed when we change ourselves. Love this quite. Your blog is a great inspiration for me. It changed me a lot, thanks you Wendy for inspiring us! Haha Thank you Wendy you are too kind and generous. Keep Inspiring us! Let your heart guide you. It whispers so listen closely. I love that. It’s one of the hardest things to do. Still working on it your blog looks great Wendy. I love your writing. Just a thought; that saying would make a nice free download as a pretty printable to collect email followers. Have you tried Canva? I would frame that one, too! Wow! you did that fast. I just checked out your blog and love the post and the pdf. You’ve inspired me to start my vision board! Kudos Wendy. Thanks for linking me up. I Pinned your quote to my Pinterest board.